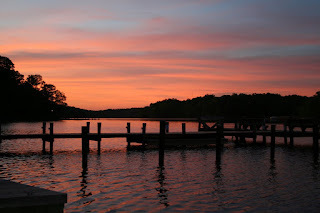 Fished the boatramp from 7-8pm. Tide was high with a slight breeze. 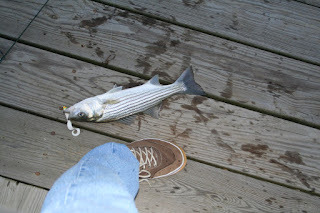 Caught one 16 inch Striper on a white curley tail. Plugged the rest of the time with no swirls.